In the finale of the theatre piece Ten Women, the women on stage tried an experiment. What would it be like to show our ordinary, un-Photoshopped bodies in all their frailty and glory to the world? The all female cast asked themselves that and also invited any members of the audience to join them. Some of the performers stripped naked, others left their underwear on and still others remained fully clothed. No-one in the audience joined them apart from the writer/director and producer who were sitting among us. It was a powerful, uncomfortable and also celebratory end to the work in progress show exploring what being a real woman with a real body means in a society where “the image of a hyper-sexualised, grossly exaggerated, objectified woman’s body is used to sell pretty much anything”. 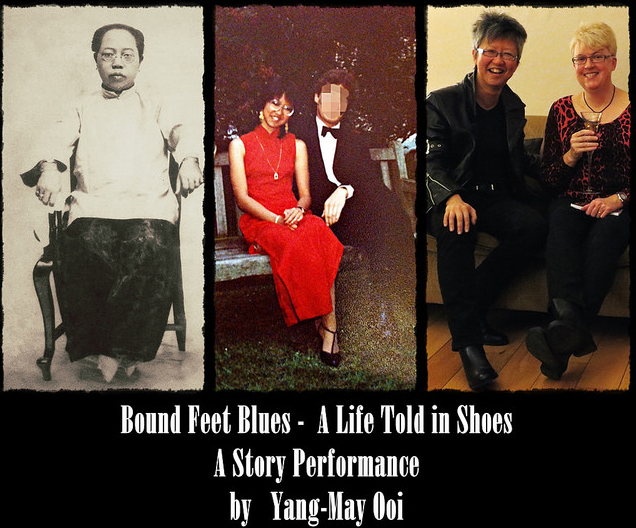 Bound Feet Blues explores what it means to be a woman within Chinese culture, going back to ancient times when women in China had bound feet and paralleling that with my own experience of growing up in Malaysia. It touches on gender roles, female desirability and conformity – all themes being explored by the artists in this exhibition. 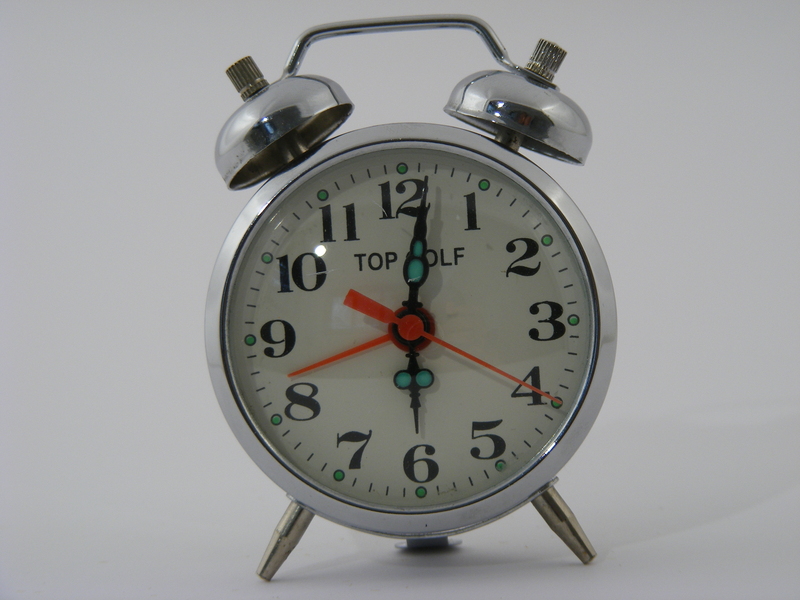 Over on my main blog StoryGuru.co.uk, I’ve just written about the differences between writing for performance and writing novels. As a novelist, I had a steep learning curve working on the script for Bound Feet Blues and found lots to love about this fresh genre of story performance, and also lots that has been a challenge in terms of creating the text. I’m delighted to share with you the showreel of Bound Feet Blues from the work in progress performance back in March. Bound Feet Blues: Would you slice up your feet to fit into your shoes – like the ugly sisters in the Cinderella story? In the Cinderella fairy tale, when the Prince finds the glass slipper dropped by Cinderella, he travels around the kingdom trying to find the woman whose foot is the perfect fit for the shoe. Many women long to marry the Prince, including Cinderella’s ugly sisters but their feet are too big – so they resort to chopping off their toes and their heels to make their feet fit into that single perfect glass slipper. You think this is a fairy tale. 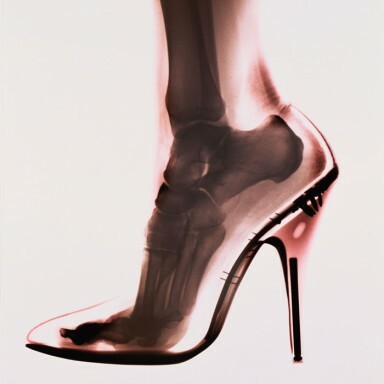 It seems that women today are having foot surgery so that their feet fit more easily into high heel shoes or sandals, according to an article on Shape magazine on Cinderella Foot Surgery. picked cotton in the Sunken Lands and her ancestors who lived and died during the Civil War. As I’ve been finding in my current project Bound Feet Blues, discovering and retelling stories from your roots/ heritage can be profoundly life-changing. In connecting the past with the present, it gives us direction for the future. The River & The Thread – Rosanne Cash. 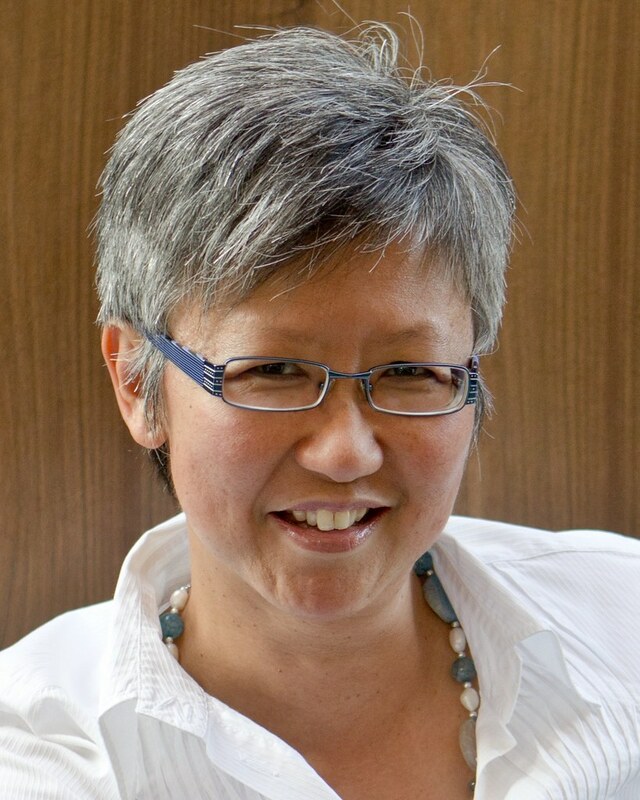 Yang-May Ooi is a mixed media author & story performer. Her work explores the power of personal narrative to enchant, inspire and transform. 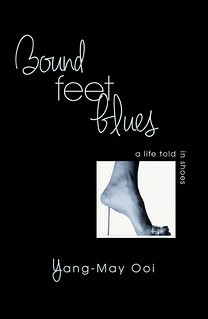 Bound Feet Blues is her first full length solo story performance.